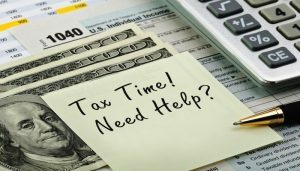 Start preparing for your 2018 tax return – now! – Weiss & Thompson, P.C. Start preparing for your 2018 tax return – now! – W-2 Forms from all employers you (and your spouse, if filing a joint return) worked for during the past tax year. – 1099 Forms if you (or your spouse) completed contract work and earned more than $600. – Investment income information (including: interest income, dividend income, proceeds from the sale of bonds or stocks, and income from foreign investments). – Income from local and state tax refunds from the prior year. Previous PostPrevious Should you be making estimated payments?